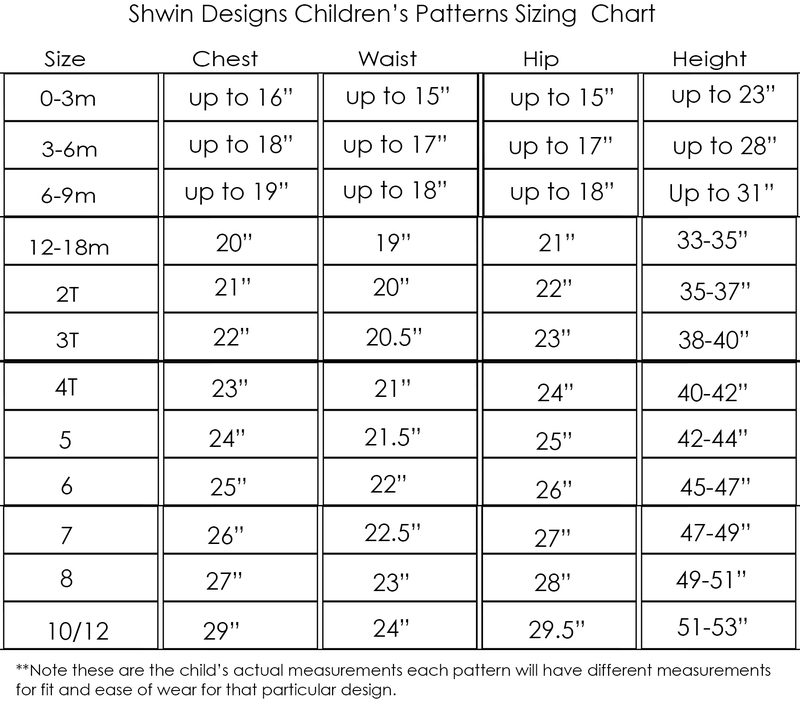 Our Children's patterns range in sizing from Newborn to size 10/12. Here is size chart we follow for all of our patterns. You can check each individual pattern listing to see which size is included in the pattern. For sizing info about our women's patterns check each listing for a complete size guide.